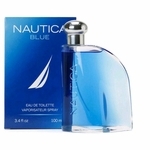 One of the most popular lines of mens fragrances on the market today are the different scents of Nautica cologne. 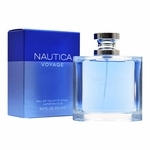 Nautica has been a popular and recognizable brand since 1983. Starting with clothing and moving into the fragrance department, it is known for its style and reliability. Its the perfect choice for any mans cologne selection. This popular designer offers many different fragrances in their cologne line; finding the right undertones is key to finding the cologne that is going to work best for your style. For a soft and woodsy cologne, be sure to check out Nautica Blue, one of the top-rated colognes and a sure crowd pleaser. 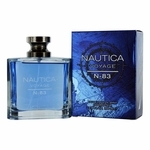 If you are looking for more of an adventurous and masculine option, then Nautica Classic is going to be what youre looking for. 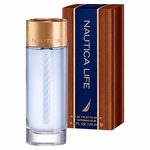 It doesnt matter what your style iswe offer discount Nautica cologne for you. Its usually a good idea to have at least two colognes: one summer scent and one winter scent. 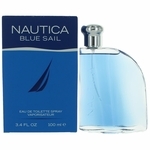 Choosing a combination of Nautica cologne can be the perfect answer to obtaining different, but similar, scents. Go with a heavier option for the winter to ensure that your signature smell will last all day, even under all of your winter clothes. For the summer, a lighter cologne is perfect because you dont want to come on too strong when its hot outside. If you stick with the same designer, there is a better chance that the fragrances seasonally appropriate but still similar, allowing you to cultivate a signature scent. 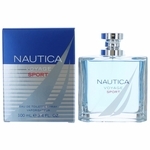 Buying Nautica cologne at a The Perfume Spot means you are buying it at the best price possible. We work hard to keep all of our customers happy and we guarantee that all cologne is 100% authentic.